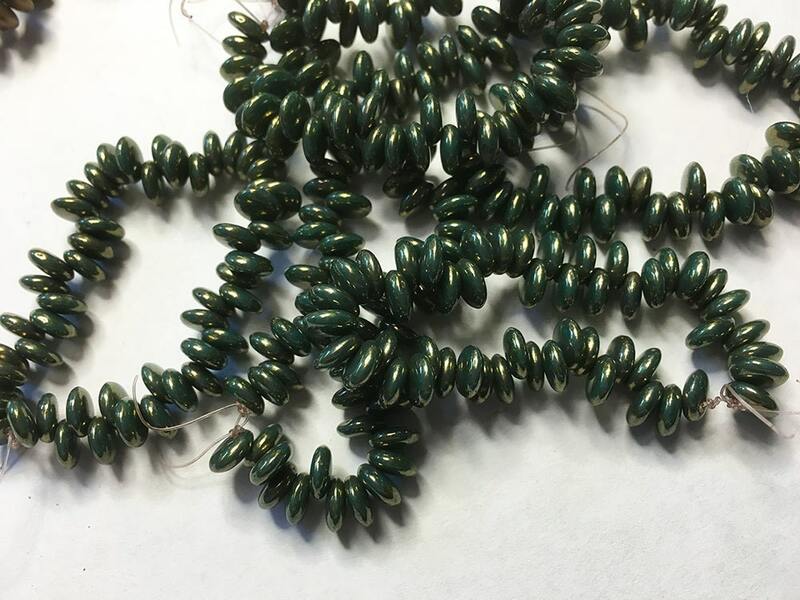 Dark Green lentil Czech pressed glass beads! These beads have 1 hole (hole size about 0.8mm) which is located at the edge of the bead. These beads are wonderful for accenting your bead embroidery or bead weaving designs. You will get 50 beads per strand.